The Ether Collection has been “in the Ethers” so to speak for nearly two years. Last year I unveiled the Elemental candles, based on the four elements of earth, fire, air, and water. The collection expanded this Spring to include the intentional silver wax seal elemental pendants. When I began working on the Elemental Collection in early 2017, I knew I wanted to make the Ether element special. I wanted to have something that would give me the opportunity to work with more precious and rare oils but do so in a sustainable way. Creating a limited edition line was the perfect fit. The Ether Collection is an amalgamation of all the tools I use intimately and regularly in ceremony, and in working with women in circle. For over three years, I’ve blended sprays and anointing oils alongside women, used candles to both mark and honor the elements when creating sacred space, and also incorporated ceremonial jewelry. The Ether Collection contains an intention candle, aromatic mist, botanical perfume, and necklace. The aromatic base of this collection is rosewood*, frankincense, myrrh, and cypress. These highly revered precious oils and aromatics were used ceremonially in ancient times. 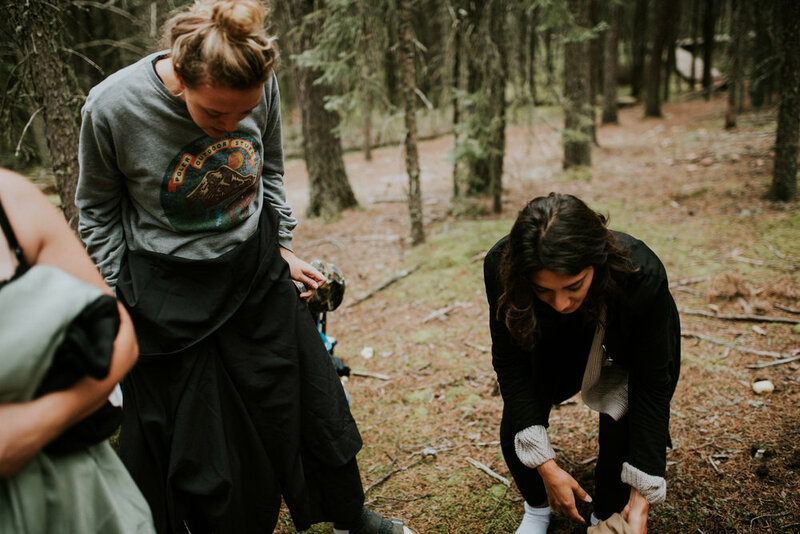 Knowing that I was making time to focus on art and creativity, I still longed for a community element and to connect with women. 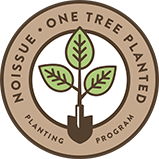 My dear friend Mahshed of Paper Ocelot Studios planted the idea for a creative collaboration earlier this spring. This year my own struggles with body image had me grappling with just how deep and insidious media and marketing is, especially towards women. ALL of my desires and challenges collided at once and I decided that planning a collaborative shoot around the Ether element would give me an opportunity to build community, provide a healthy outlet for my patriarchal rage, and perhaps provide a visual of why it is that I do this work. A deep look into my passions and soul. A snapshot of the beauty I believe everyone of us is innately worthy of. And a greater understanding of how magick is woven when women believe in and support one another’s dreams. Special thanks to Hazlewood, Stasia & Cub Clothing for wardrobe. *Rosewood is endangered due to over harvesting. I am fortunate to have an amazing supplier who has a proprietary blend of pure essential oils that smell just like rosewood without containing any rosewood. It’s this blend that is used in the candle and spray. The botanical perfume contains true rosewood that was obtained ethically prior to it becoming unavailable. 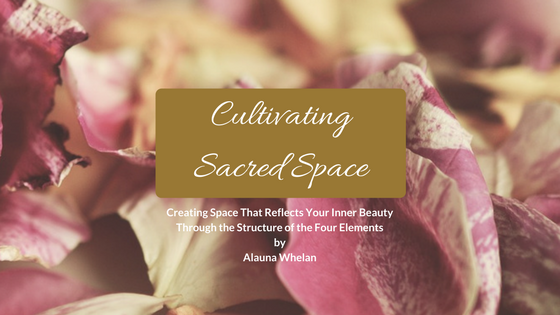 Download a free copy of my e-book, Cultivating Sacred Space, where I guide you to connect with and embrace each of the four elements; earth, fire, water, and air. Simply click the image to download your own digital copy! If you would like to stay in touch with me, click HERE to receive my Lunar Love letters.